Shade has shed her alien identity. She's stepped out of her original Earth body and into another one. Now, free of the burdens of any past life, and finally on her own, she sets out to see more of her new home. But how does she cope when the madness takes all the human emotions she was forced to confront in the Milk Wars and turns them into a bouillabaisse of memory and confusion? And to make it even more challenging, Shade must also face her namesake, the original Changing Man. 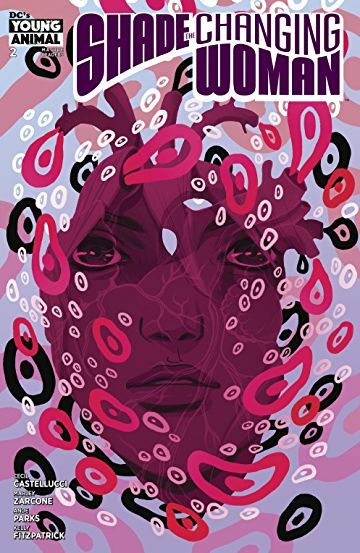 From writer Cecil Castellucci and artists Marley Zarcone and Jamie Coe, Shade, The Changing Woman collects issues #1-6!